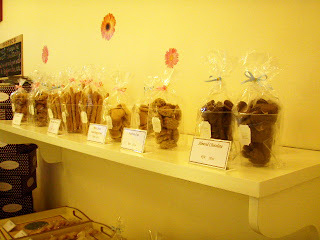 Here's a row of cookies replacing the lovely cakes~! 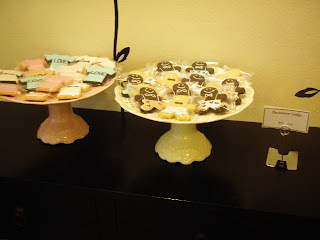 My god don't they look yummy~! 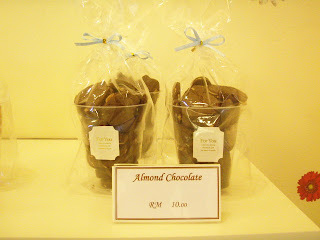 Here's Almond Chocolate. Do you notice some printed phrases on the cup? (Yeah, it's a cup. 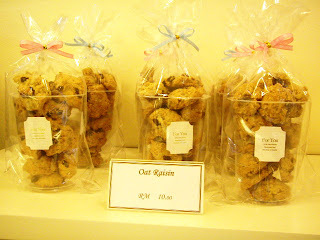 They put the cookies, wrapped in plastic in it). 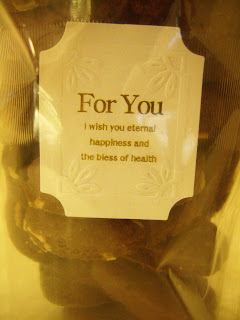 "FOR YOU- I wish you eternal happiness and the bless of health". 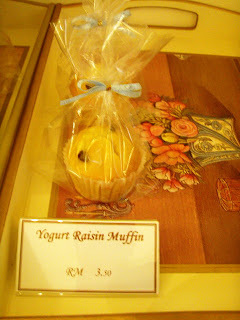 Isn't this a perfect gift for somebody, like your colleagues? 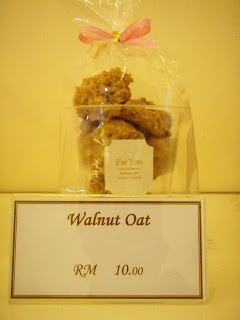 Walnut Oat's next to it~! 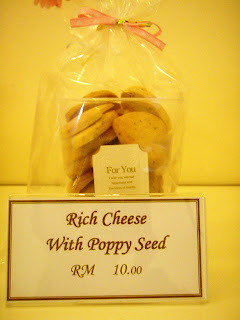 Rich Cheese with Poppy Seed! 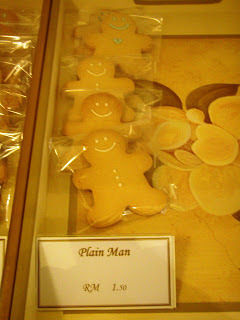 Plain Man~! 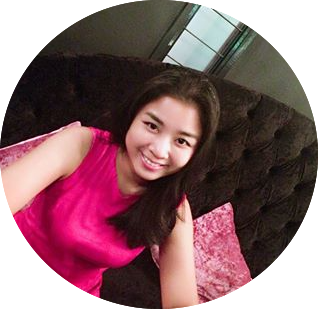 Another addition to the Men of Sweet Daily~! It taste's the same to me..but my guy said it's not and he prefered the Poppy Seed Cheese. 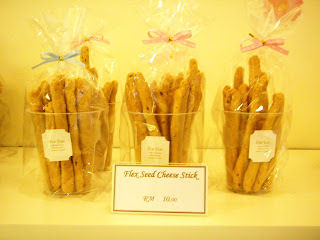 Look~! Here are another additions to the family! 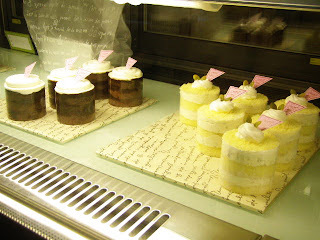 Small cakes, i would call it- PERIOD. The right side look like Sweet Potato, the other I think might be chocolate. 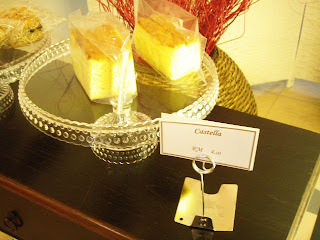 Here's Castella, priced at RM4. 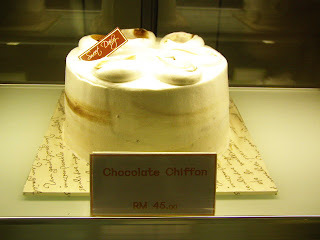 It's soft, like a cake with less butter. It's light, I can tell. 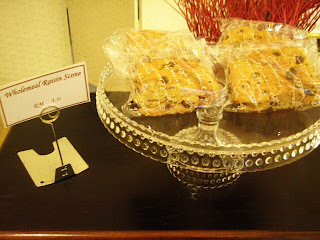 Wholemeal Raisin Scone, RM 4.50. I don't know why, but it's hard too. WARNING: Tanjung Aru Robbery in Daylight! 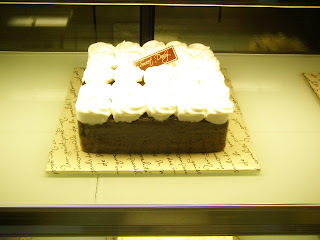 Sweet Daily: Trans Fat Free and Healthy Bakery! Marc Jacobs Is Now Taken~! Chris Brown is an abuser? ?